2014 Road Trip Photos #9: Another Hick in the Mall, Part 2 « Midlife Crisis Crossover! 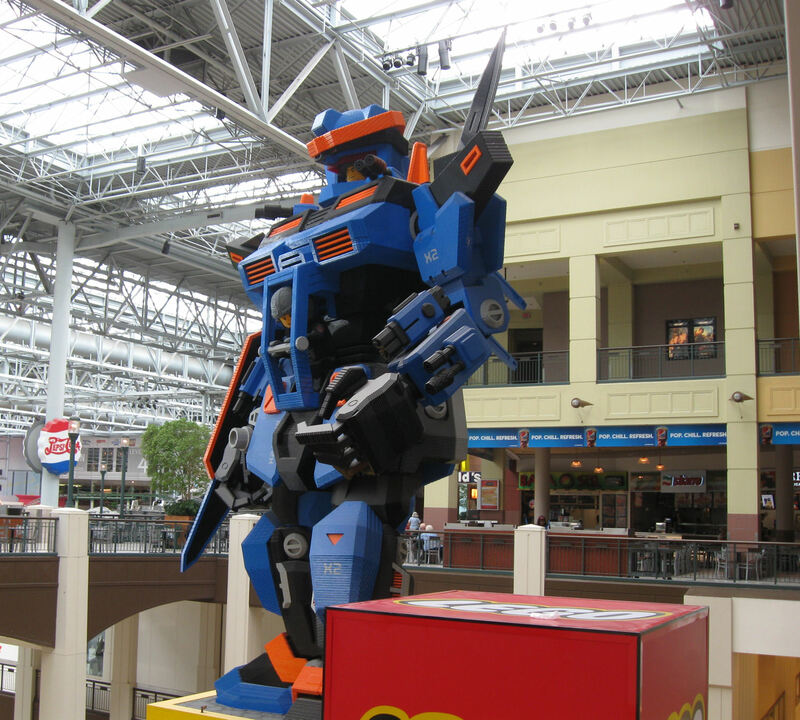 Welcome to Nickelodeon Universe at the Mall of America! Also, there are stores. 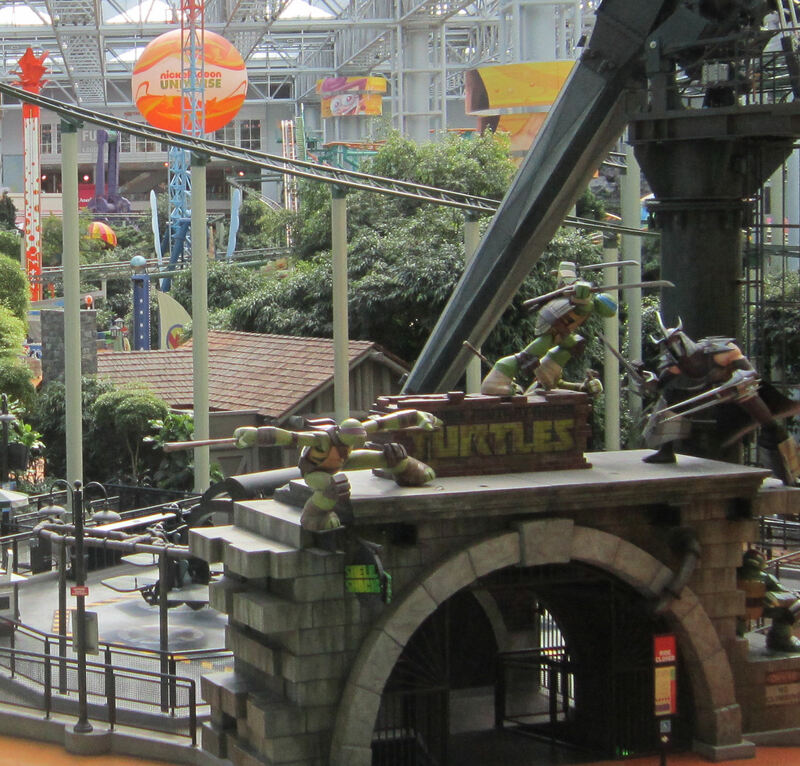 Readers who followed along last summer with the remastered edition of our 2006 travelog may have been disappointed at the dearth of photos in the Mall of America chapter. The great and powerful Mall is an enormous structure with hundreds of places to visit and acquire stuff, but last time we just didn’t think to use our cameras much because shopping and photo ops are two activities that tend to be mutually exclusive activities in our minds. 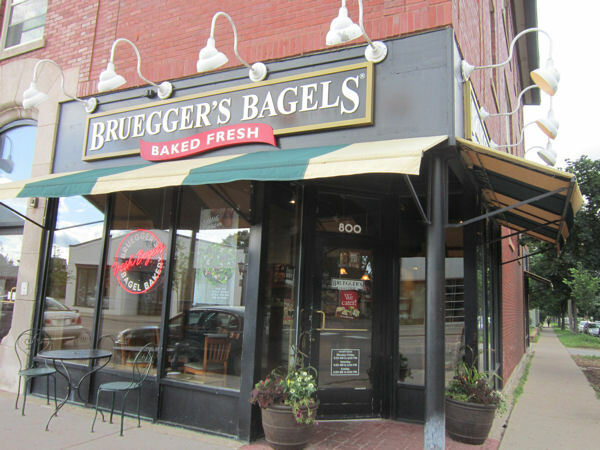 On our way to the Mall, bright ‘n’ early at the start of Day Three, we grabbed breakfast at Bruegger’s Bagels. At the time we didn’t know it’s a chain because they have zero Indiana locations, so this may seem too commonplace to mention here. For me it was a milestone because their Sriracha Egg Sandwich was my first time trying sriracha on anything ever. To be honest, I remember the pain more than the taste. Fortunately their coffee was a tastier, happier kind of hotness. We had specific plans at the Mall of America and arrived half an hour before the stores opened. 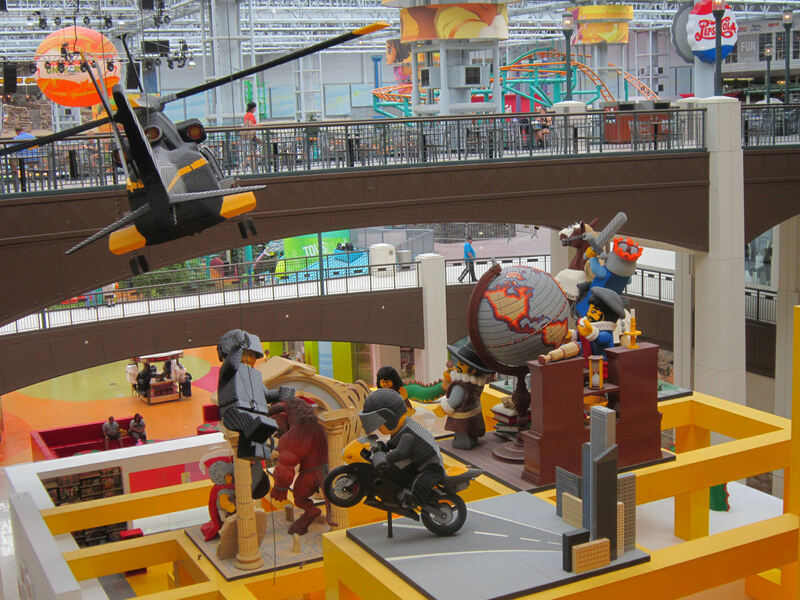 If you’ve ever dreamed of having the Mall of America all to yourself, Monday mornings are the prime time to pin on your calendar. 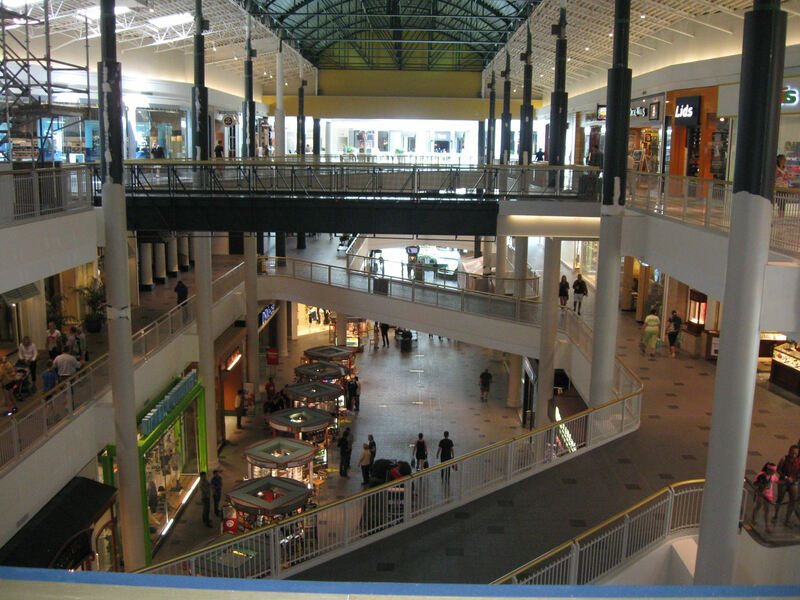 The place was so deserted by Mall standards, we could’ve shot a movie there, assuming we could convince any actors to report to set that early. Some art to contemplate while you’re pacing back and forth and waiting for someone to fire the Mall of America starter pistol or ring the Mall of America market bell or whatever. 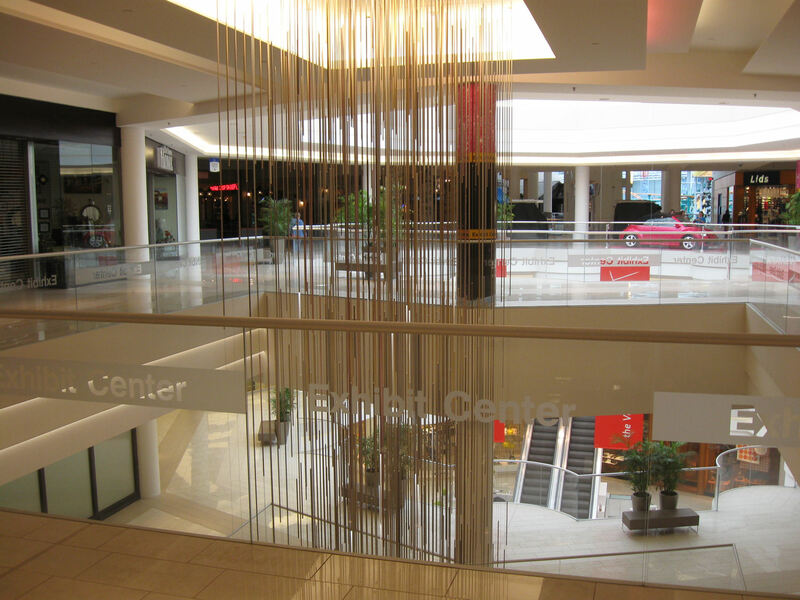 Eventually the stores opened and shoppers showed up to enjoy four stories’ worth of clothing, food, electronics, Minnesota souvenirs, Mall of America souvenirs, oxygen-bar oxygen, and more. Monday morning was far from hectic, but I can think of one dying Indianapolis mall that would love to have this many visitors at one time. The Bubba Gump Shrimp Co. was here last time we visited, and still seems to be going strong. We ate a few times at their Kings Island location until it lost its licensed name a few years ago. 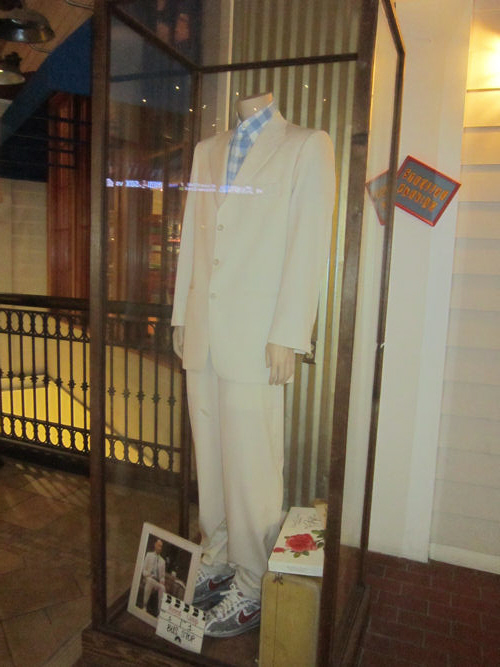 Standing outside their MoA location is an authentic Forrest Gump suit and props. Maybe Kings Island would still have their version if they’d kept Lieutenant Dan’s wheelchair in a display case for good luck. Tired of shopping? Hate amusement park rides? Ate before you arrived? Not in the mood to join a topical protest demonstration and appear on the evening news? 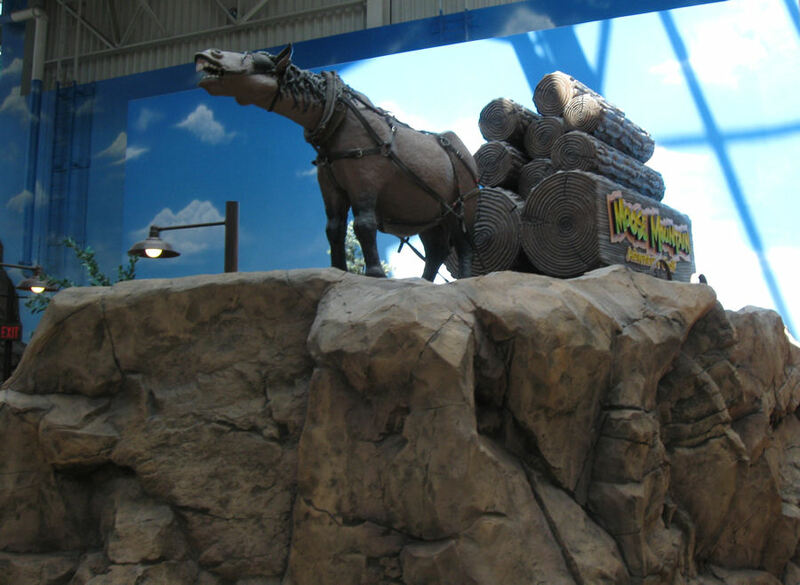 You still don’t have a reason to be bored at the MoA, thanks to Moose Mountain miniature golf! In the center of the Mall is their world-famous park. 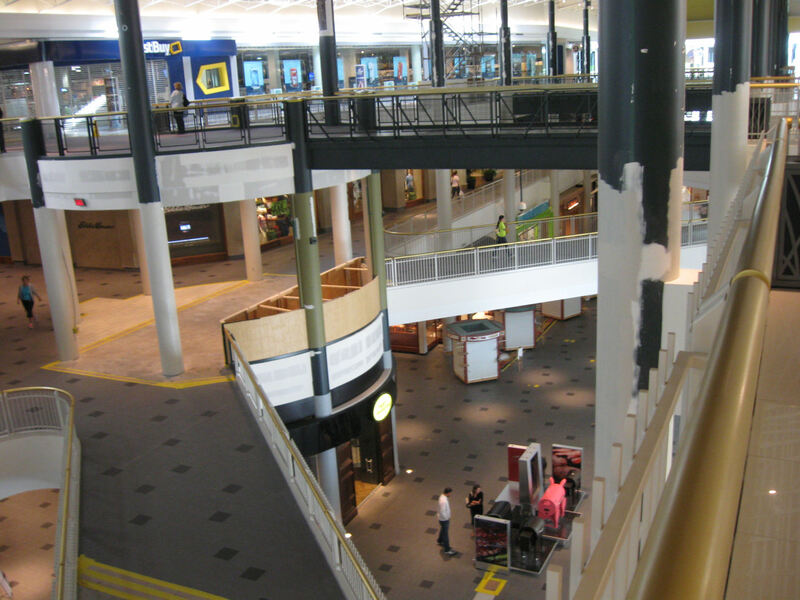 Until 2006 it was Camp Snoopy; for the next two years it was the unremarkably named Park at the Mall of America. 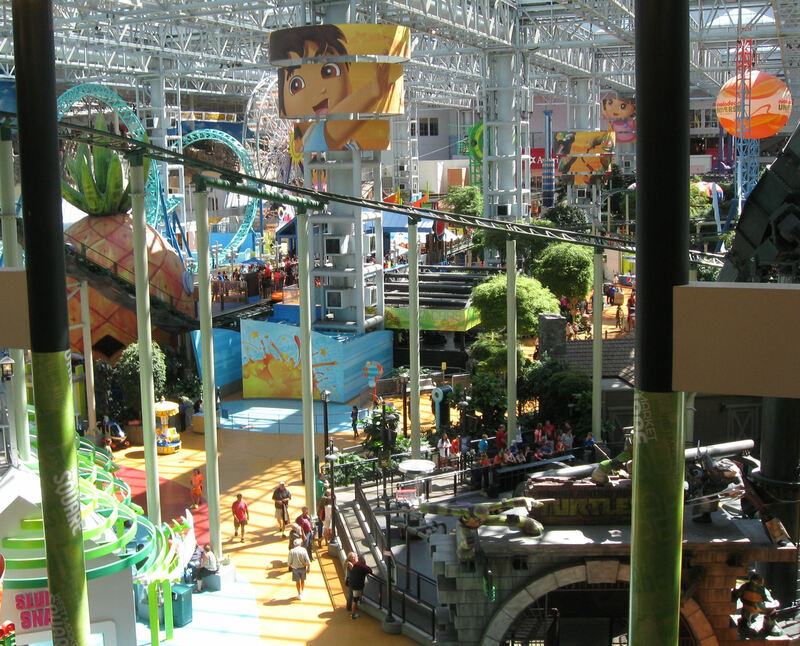 In 2008 the whole thing was rebranded as “Nickelodeon Universe”, adding several famous faces to the rides and decorations. After the Eastman/Laird comics but before the 2014 movie produced by Michael Bay, there was…Teenage Mutant Ninja Turtles: the Ride! 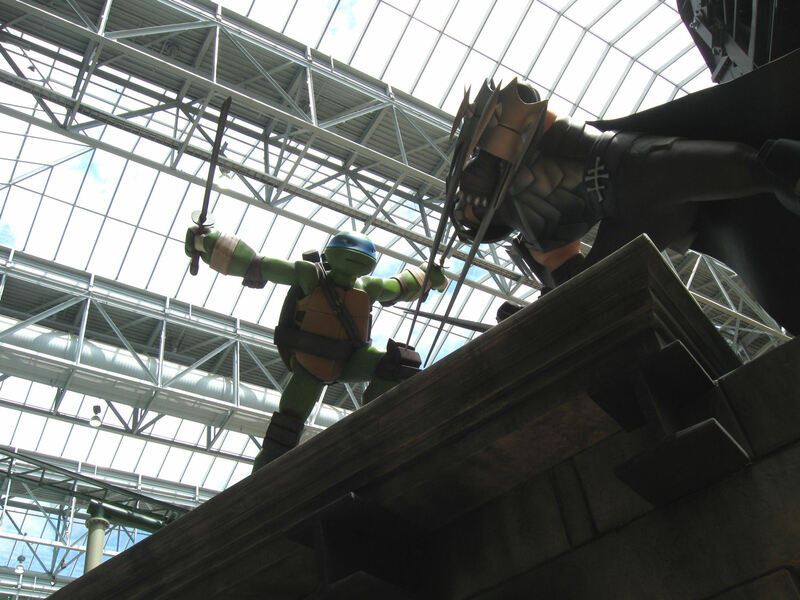 For the fans: Leonardo v. Shredder! Just because. We remember the LEGO Store from our 2006 visit, but the giant-sized dioramas had been razed and rebuilt into new shapes since last time. Everything is awesome! / Everything is cool when you’re having a ball!/ Everything is awesome / When you’re shopping at the Mall! I’d love to think this was a prop from an upcoming Lego Aliens video game. I can dream. We looked around a few shops. We skipped the pricey designer items and found a couple of affordable clothing articles. We later grabbed lunch at a meat-scoops-on-rice chain called Ruby Thai, where my thumbs-up combo platter of chicken curry and lemongrass chicken was nowhere near as incendiary as my earlier sriracha sandwich. But none of these side quests were as special as our primary objective at the Mall that morning. « The MCC Christmas Archive 2014! I live in the Twin Cities and have seen very little of the inside of this monstrosity, so this was interesting to me, if not slightly ironic. Hope you had a good holiday, Randall and that you have a great 2015! Thanks, and likewise to you ‘n’ yours!